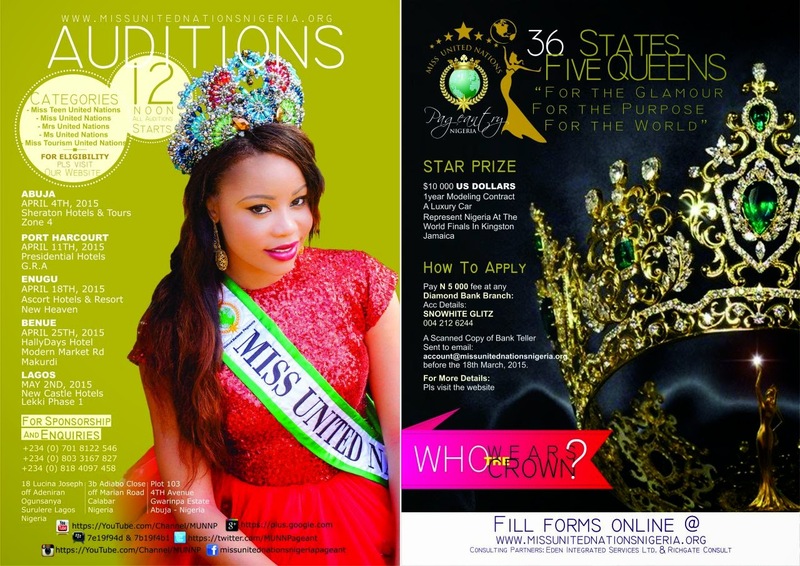 Nigeria is about to witness the biggest pageant show in Africa,which will be attracting the world to Abuja! Are you bold, beautiful, intelligent? Are you ready to fly the flag of Nigeria around the world ? Do you seek to be an Ambassador of United Nation? This is your chance to hit headlines!! In MISS UNITED NATIONS NIGERIA PAGEANT 2015. -MISS UNITED NATIONS NIGERIA "age 19-29"
-MISS TEEN UNITED NATIONS NIGERIA,"13-19"
-MRS. UNITED NATIONS NIGERIA,"Age 22-60"
-MISS TOURISM UNITED NATIONS NIGERIA. 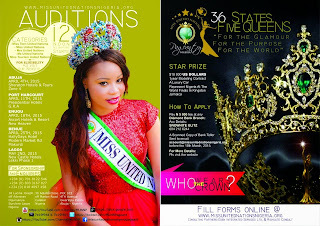 "Age 19-29"
The purpose of the Miss United Nations Nigeria pageants is to give young women the opportunity to come together in a pageant platform regardless of their background, to build relationships with other women from all parts of the country who are working diligently to leave a positive impact in their communities.